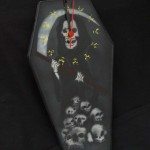 clock is made from lightweight polyurethane resin and is designed in the shape of a coffin. 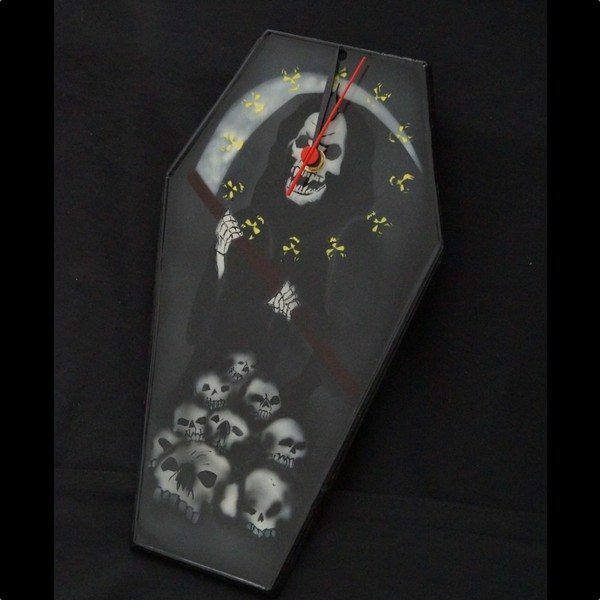 The clock in shades of black, white and grey make a very effective and eerie design. It features the Grim Reaper with a mound of sculls collected at his feet. The clock is flat so will sit neatly on any wall and make a great design feature without being too bulky. The Grim Reaper legend has it, symbolises impending death. 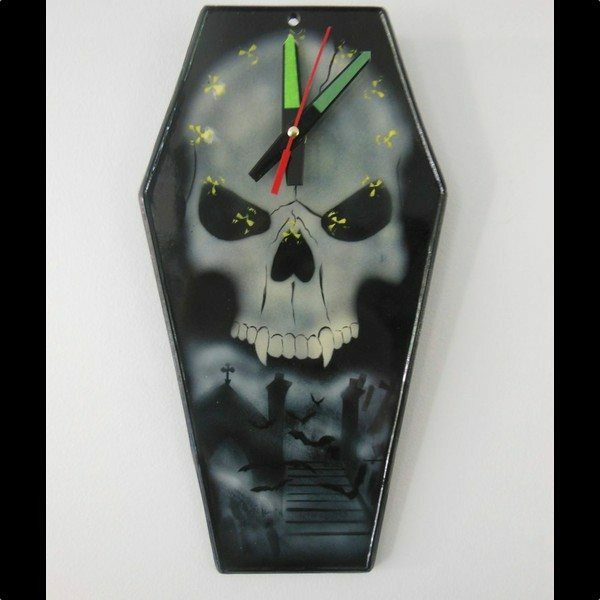 We like to think with one of these on the wall you will always be dead on time. It features a quality battery operated mechanism, it comes complete with inbuilt easy hanging and will look great in your home or office. As always Grant designed, moulded, painted and air brushed the clock. 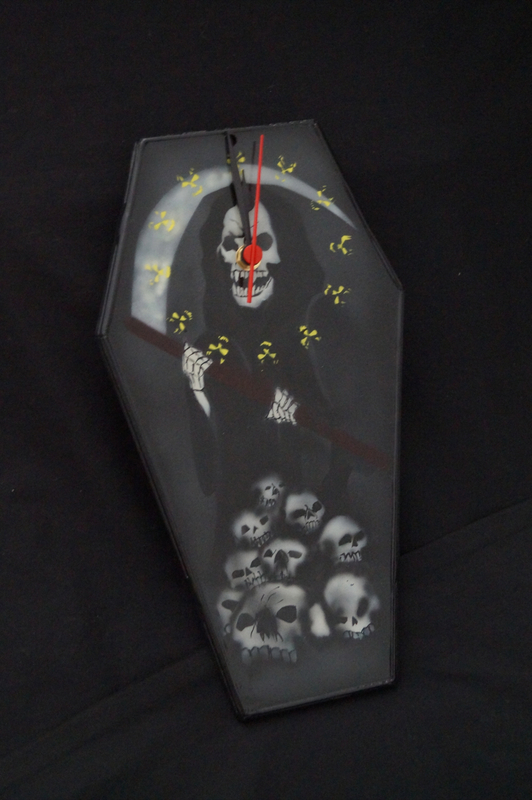 You may also like to take a look at the rest of the coffin shaped clocks on the website. 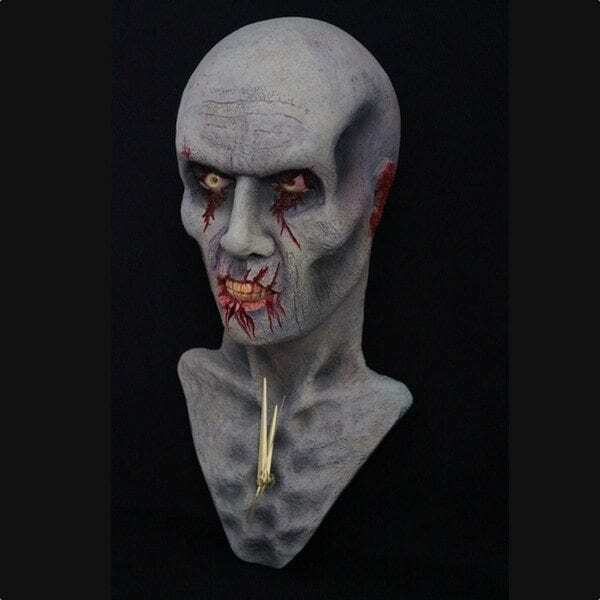 Be the first to review “Grim Reaper Coffin Clock” Click here to cancel reply. Fast WordPress Hosting by Asporea.